When even the strongest drug-store antiperspirant still leaves you wet, it’s time to take control. Hyperhidrosis is a medical condition of excessive sweating to the point of having to change clothes through the day, dreading a handshake or choosing clothes that won’t show sweat stains. 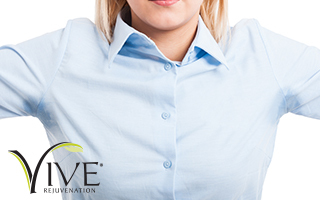 Excessive sweating can affect your quality of life. Hyperhidrosis can be successfully managed with safe, clinically proven injection treatments. Some private health plans may offer financial coverage. Book a consultation with one of our doctors to learn if medical injection treatments of onabotulinumtoxinA is the right treatment for you. For tightening the skin, reducing unwanted wrinkles, cellulite, stretch marks, contouring the face, neck and body at maximum depth.